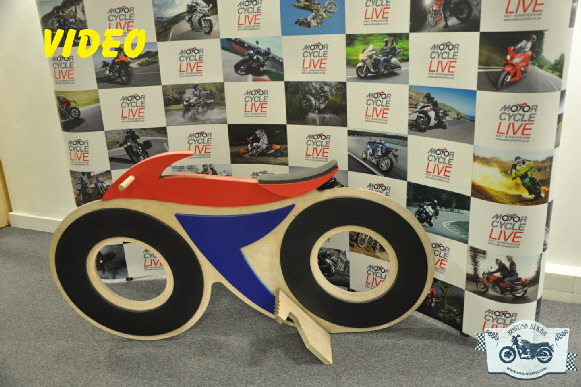 Its November and that can only mean one thing as perpetual as the earth rotating, it being far too dark by tea time and Ant and Dec shouting “Let’s get ready to Jungle” it’s time for the premier showcase for motorcycle manufacturers in the UK being Motorcycle Live at the NEC. 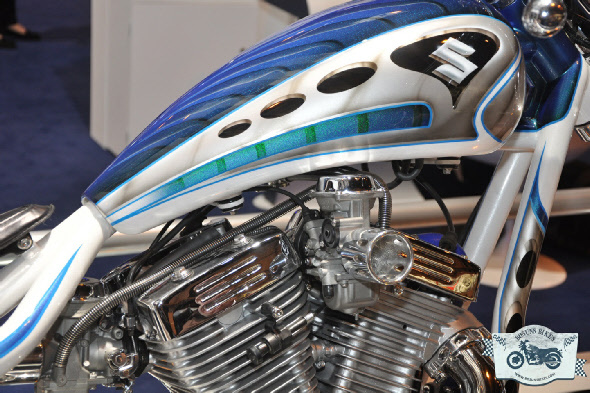 Now although the show is mainly for manufacturers to show their latest wares, there is also special areas, although they seemed smaller this year, for classics, off road, touring and custom bikes and lots of shopping. My plan this year was to try and find what the manufacturers were tempting us of the customising fraternity for the future. 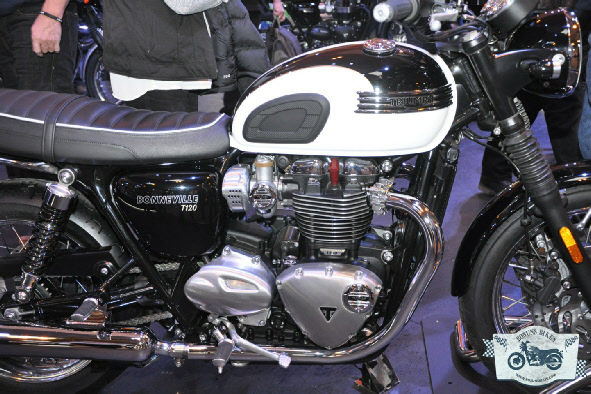 Many of the dealers have already being drawn to the still current trend of “the dark side” with mat black models, the Indian and Triumph stands going particularly black. Yamaha have steadily been building on their “yard built” bikes and especially those based on the SR400, XV950 and XJR1300. While these may mainly be cosmetic changes to the bikes using a range of accessories I think this is a good start to tempt people into the dark side of customising. Motoguzzi had a selection of mainly café racer V7’s but showed again the options the average Joe could achieve. One of the stands that really interested me was the Herald stand, where they are steadily making a name for themselves with a range of 125 and 250 bikes known as Mutts powered by Suzuki engines, now they are looking at 400cc bikes powered by Honda engines and the first mock ups are looking brilliant with some really cool touches. Now the one problem with visiting Motorcycle live is I always meet up with Yoda and so end up half having to jog behind him as his magpie like tendencies means he wheels off left right and centre at speed at any sparkle of chrome, metalflake or lycra clad model. At the end of the day my feet kill me and I wish I had his wheelchair we have a brilliant time though. Then there was the classic area with some interesting vehicles and also a live bike rebuid but the poor guys trying to rebuild seemed to have questions from classic owners on how to fix their bikes. though there was a custom zone the insurance companies seemed to have good stands of custom bikes and there were lots of naked bikes, so the future is bright, or black depending on the colourschemes.